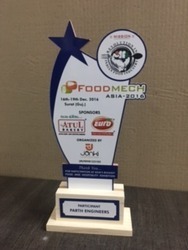 "Parth Engineers" is an certified firm, which was founded in 2005 and is operating as the leading manufacturer, supplier, trader, wholesaler, importer and exporter of Packaging and Sealing Machines. 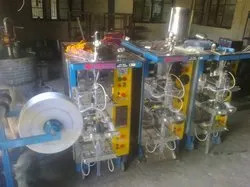 Our product range is regarded for being quality approved and it comprises of Valve Packing Machine, Pedal Sealing Machines & Liquid Packaging Machines. The offered products are known to be seamless in finish, offering trouble free operation, durable, non corrosive, non abrasive and dimensionally accurate. These machines find application in food processing, beverage, pharmaceutical and cosmetic industries. We are Importing from China, Taiwan Japan and exporting in Africa, Sri lanka, Bangladesh and Dubai. Our organization is spread over a vast stretch of land and has access to latest machineries. We have a large production facility for handling bulk orders with comfort. Our quality control facility assays the quality of the manufactured machines for keeping in compliance with the international standards. Our warehousing is systematic and helps in avoiding hassle during packaging and dispatch of orders. We have a well organized packaging facility for packing of machines and preventing damages during transportation. 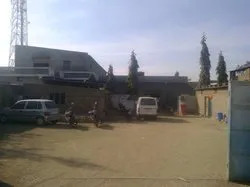 Our transportation facility is vast and prompt. 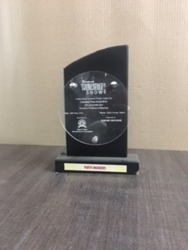 It has earned us a distinguished name in the organization. We are backed by a diligent group of professionals and they are committed towards the clients. We offer customized solution at industry leading prices for maintaining our clientele. 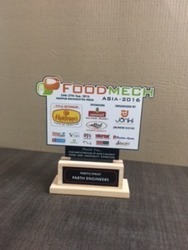 Our mentor, "Mr. Renish Patel", has enabled us to occupy a recognized position in the industry. 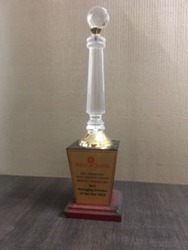 His in-depth knowledge and sharp business acumen has earned us loads of appreciation and profits. Keeping in tune with the industry standards for offering ultimate solutions to our customers, is the sole aim of our organization. 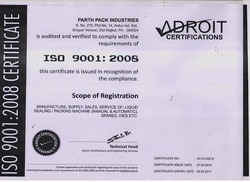 Our raw materials are procured from an authentic vendor base for ensuring of superior grade product to the customers. 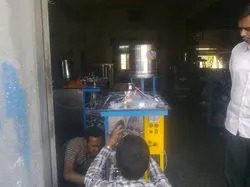 We have a huge quality assurance facility, which is armed with latest generation machineries for monitoring the quality of the manufactured goods. Our products are regarded for being long lasting, seamless in finish, requiring low maintenance, energy efficient, advance in design and dimensionally accurate. We have spent a fortune in building our infrastructural facility. 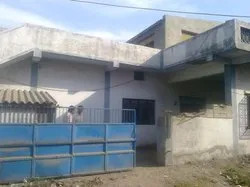 It is divided into various units for hassle free operation. We have a well equipped manufacturing facility for offering a unique assortment of products. Our quality control facility is sophisticated and engaged in checking the quality of the manufactured goods. We have a spacious and systematic warehousing facility for storing of machines free from dust and moisture. Our packaging facility is innovative and we have access to a fast transportation facility as well. 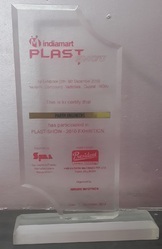 I achieved "INDIAMART PLAST SHOW 2010". 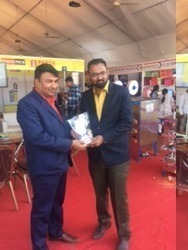 I achieved "INDIAMART PLAST SHOW 2012". 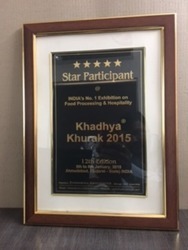 I have achieved "Khadhya Khurakh Award in 2013"
I have achieved "Khadhya Khurakh Award in 2014". 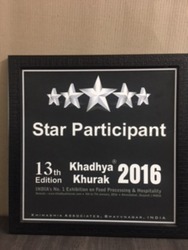 I have participated in "Khadhya Khurakh 2015". Our professionals are the biggest asset for the organization. They are dexterous, experienced, qualified, dedicated and committed towards the growth of the organization. 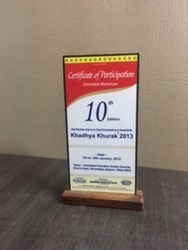 We organize seminars and workshops for keeping them in tune with the latest trends and techniques. They work in close coordination and have earned us reputed certifications as well. Our team consists of engineers, designers, quality controllers, administrators, HR professionals, warehouse personnel, transportation personnel and sales executives. 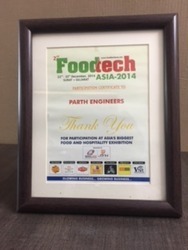 Owing to our client-centric approach and wide product range, we are among the prominent players in the industry. Our products are regarded for being superior in terms of quality. We have a team of dexterous professionals for stream lining the processing of the organization. Our infrastructure is modernized and loaded with these tools.